It’s quilt along time! Some of you are just joining us but even so, you’re catching up fast! If you haven’t joined the quilt along you might want to because Stepping Stones is not only beautiful but so fast to make. If you join the quilt along, you can also learn to make Charming Stepping Stones which uses smaller blocks. Click here or click the Stepping Stones QAL tab above to learn more. We’re zipping past third base now and headed towards home! Now it’s time to make those blocks, If you haven’t been measuring your units as you go along, you might want to measure them now before assembling your blocks so you can correct any errors in sewing or cutting. Lay out the units like this and then sew them together. As you can see, a block board is handy for keeping your block units in order as you sew. Press towards the AB Unit (the top unit). If you’re making Stepping Stones, make 30 blocks total. The blocks should measure 12” square. If you’re making Charming Stepping Stones, make 143 blocks instead. <sigh> The blocks should measure 6” square. Don’t be afraid to take your time and have fun! Next week we’ll put these blocks all together into a quilt top (flimsy). Time for the giveaway! Let's take a look at what everyone's been up to. As before I’ve collected the names of everyone who posted a new progress picture last week. I assigned a number in the order in which the photos were posted and then used Random.org to generate a winning number. Congratulations, Sandra! I’ve sent you and email and as soon as I learn your postal address, your button basket will be winging its way to you! I can’t wait to see what you fill it with. (I’m betting chocolate!) For this week’s giveaway, I’ve chosen this adorable pieced zippered pouch. 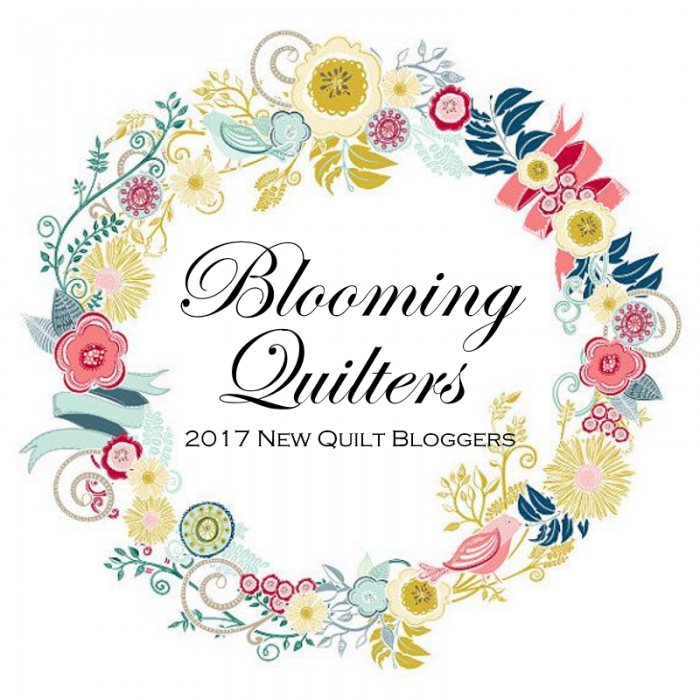 Share a photo of your next step in the Quilting with the Inquiring Quilter Flckr or Facebook groups and/or on Instagram. Don’t forget the tags @inquiringquilter #SteppingStonesQAL so I can identify your entry. If you’re just joining us, you can play—the rule is that you must post a photo of the next step for you, whatever that happens to be. Post your photos by midnight EST, Tuesday April 19th. If you have questions or you need some support to get going, don’t forget to use the Flckr and Facebook groups! Both groups are filled with supportive, caring quilters who just can’t wait to see your progress.